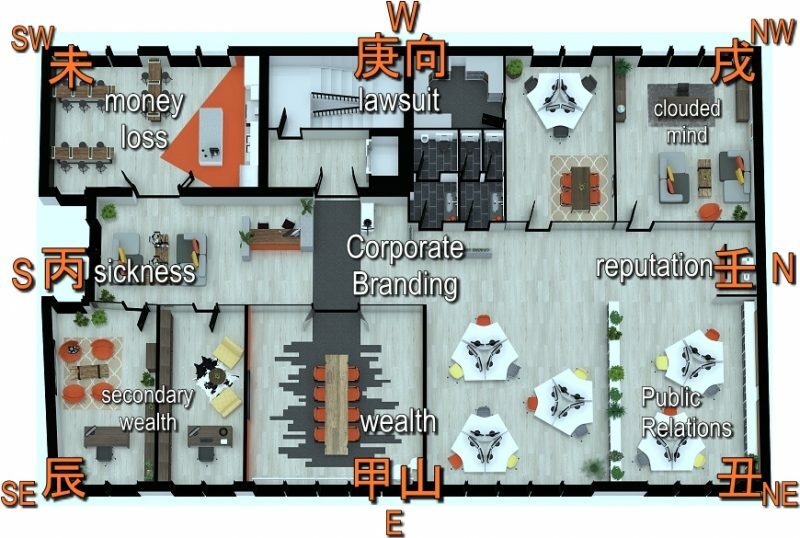 Business Feng Shui “相地术 (天文地理学)”, the optimisation of office’s energy’s (理气) interaction with it’s physical environment (峦头) through feng shui applications. The objectives of business feng shui is to improve employees’ morale, harmony, efficiency & productivity thereby achieving Company’s business goals. Gone are the days of dressing your office with figurines of dragons, unicorns, tortoise… Feng Shui Master recommendations are distilled from more than 10 years of “hands-on” experiences that work. The feng shui solutions may look simple, yet it is based on traditional feng shui principles of yin-yang 阴阳, active-passive 动静, shape 形, symbolism 象, 理, 数 etc. Soft copy of the executive summary feng shui report documenting key recommendations within 3 business days. Bonus Bazi Tips are not included in the report. Calculate and determine the “Office/Shop Feng Shui Destiny 宅命”. Explain the energies of each individual sector in your office. Recommend rectifications or enhancements. Fit the right department to the right sector. Activate the “positive human traffic-movement (吉凶悔吝者，生乎动者也)”. Energize wealth, harmony, status, benefactors sectors and dilute the Negativism of sickness, conflict and disloyalty. 2 Bonus Bazi 八字用神 (birth profile) lucky element tips. SCAN COPY of your floor plan not capture by mobile phone. Birth details including time of birth, gender, of 2 Key personnel of your choice (English calendar). If you are the owner of the premise, the Year & Month of Shift-in. Incomplete or inaccurate information will be subjected to postponement or cancellation or additional fees. Depending on the size it usually takes about 1-2 hr – inspecting and analysing the office environment, feng shui readings and analysis.